Customized workshops for those stuck in destructive patterns "Changing Thoughts....Changes Feelings...Changes Your Life!" Engaging customized workshops using laughter, storytelling and connection to help you understand your perspective mastering your communication and listening skills to create a lasting change. All trainings are provided by an approved Achieve trainer in the state of MN. FAST Lane: Frustrated, Anxious, Stressed, Tired? Are you frustrated, anxious, stressed and/or tired? Escape the conversation keeping you stuck. We offer a workshop to learn the ONE thing that changes everything...something that will skyrocket you to a whole new level of inner transformation. It's something you already have in your possession, whether you know it or not. You can achieve greatness when you are equipped with the right knowledge! This workshop teaches you about your energy and what your energy says about you. Learn how to find JOY in the FAST lane. This workshop is for the busy person who wants to be healthy but doesn't have the time. This is difficult especially with all the temptation of fast, processed, artificially sweetened and genetically altered foods. Our bodies end up suffering especially with our hormones and we see weight gain in our mid section. 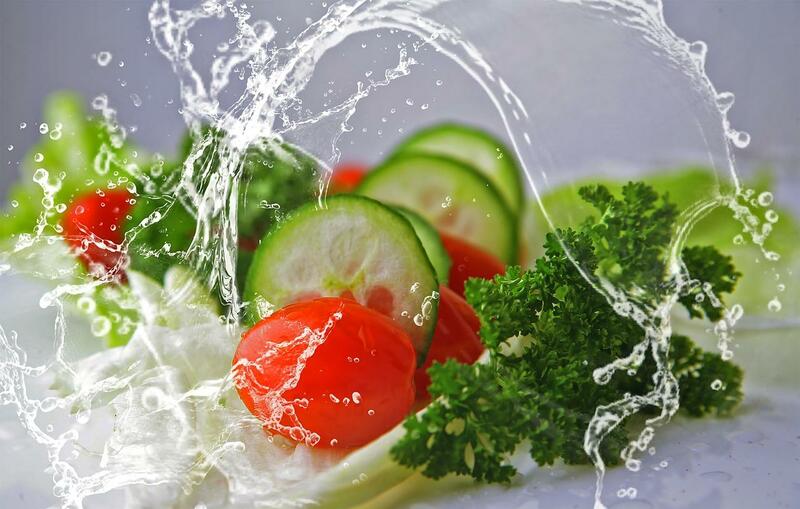 We offer simple practical solutions to eating healthy, excessive, hormone imbalances, emotional balance and ideas on how to eat healthy at restaurants. We want to help you succeed in living healthy. In order to be successful in making a lasting change in any area of our life we need to take a look at behavior modification. This workshop offers simple steps on how to turn around our habits keeping us stuck and repeating destructive patterns in our life. We will have step by step guides on how to turn around our thoughts so these changes can be made immediately and easily. The body, like everything in the universe, is composed of energy. Restore balance to the body's energy, and you will mend the negative emotions and physical symptoms stemming from energy disruption. Tapping restores the body's energy balance, and negative emotions are conquered by tapping on acupressure points. It's acupressure for the emotions! This is helpful for those suffering from depression, anxiety/fear, insomnia, pain, weight loss, stress, auto-immune diseases, clear emotional trauma and many others. How do we create life-long healthy habits? We will show you how to use every opportunity to warm-up, strengthen and stretch each muscle group, as well as to purposely incorporate excursuses that improve strength, flexibility, endurance, balance, agility and coordination at home or the office. The purpose of this class is to teach you how easy it is to incorporate a fitness philosophy into your daily schedule. What food impacts our health positively and negatively? Do you need more energy? Do you know vitamins and minerals meed to interact with others vitamins and minerals in order to work affectively? You will find out how to eat foods to compliment each other and get the most power out of our vitamins and minerals. Learn the basics of how triggers are putting your body on auto pilot and repeating the same patterns with your health. How do we become aware of the triggers and stop them? What do we need to know and quick guide to the red flag ingredients? How can we use this information to improve our health? These easy steps will drastically improve your mind health. This class is designed t give you the inside scoop on knowing what are the conversations in your head and how to teach your mind to manifest a healthy environment. We understand in our high paced corporate world, where these demands have the potential of becoming "stressful", how to impact even the most empowered leaders. We want to give you a new perspective to recognize your triggers causing you stress and confidently enable you to respond like a motivate leader. These 5 steps will drastically improve your health. This class is designed to give you the inside scoop on how to jump-start your metabolism and how to teach your body to crave health in an unhealthy environment. We understand the challenge to set aside time to excessive and/or plan nutritional meals so we will give you ways to incorporate fitness and healthy eating in your busy everyday life. We want to give new perspective on effective SIMPLE steps to a healthy body and lifestyle. This class helps us utilize the tool we know best...OURSELVES, to get what we want. Use the power of the mind to gain energy and motivation! Practice techniques to drive our-selves, our children or our co-workers to go after what we want, get off the couch and get moving. How to motivate ourselves, co-workers and family? What kind of person are you? Are you a problem seeker or solver? How to empower ourselves, our children, our co-workers? How do we change our perspective to help us go in the direction we want? This lecture was designed for people who need motivation to improve their inner self. This class will help improve body image and find resources for future challenges. Our goal is to be aware of yourself worth and how to build your self-confidence. Everyone experiences "curve balls" in life. We want to give you the tools to assist yourself, employees and/or family in conquering those "curve balls" called life experiences. We will discuss and learn how to develop personal power, self esteem, sense of purpose, positive view of personal future, fitness level, and nutrition.